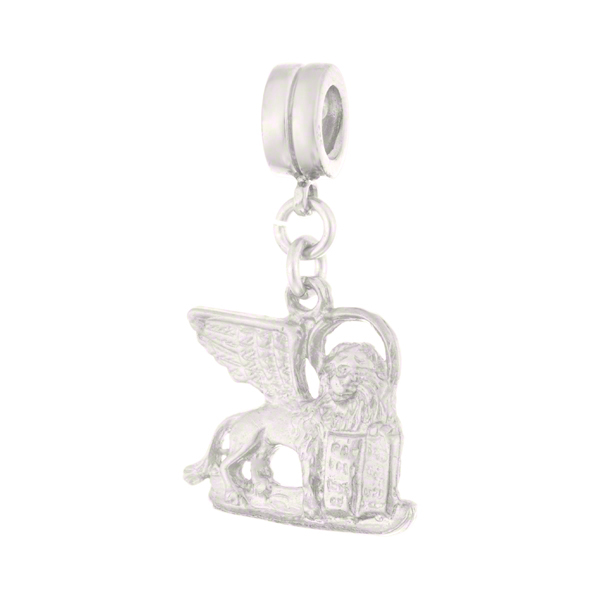 Italian Charm Venetian Lion of San Marco in .925 Sterling Silver measuring about 15mm tall (without the jumpring) and about 12mm across. The winged Lion is the symbol of the Serenissima - Venetian Empire. Seen today on the tops of the colums in San Marco, it's a popular Souvenir of Venice. Use your own Venetian Charm Bracelet or buy 2 and make earrings.